Where play is wondrous work. Early Years and child care programs in Ontario are governed by the Ministry of Education. The Ministry of Education’s document “How Does Learning Happen?” is the framework that guides our policies, procedures, and daily practices. Ontario’s pedagogy holds a strong vision for the early years sector and is guided by the values of belonging, expression, engagement and wellbeing as well as a high image of the competence of children, families and educators. These values frame our own pedagogical values and beliefs. Families are their children’s first and best teacher. We believe genuine partnerships with families are essential to each child’s learning and development. These partnerships help to build a child’s sense of trust and security. We value and respect the uniqueness of our families and invite them to be an active participant in the life of the school. Children are born researchers with a natural desire to explore and learn about the world around them. 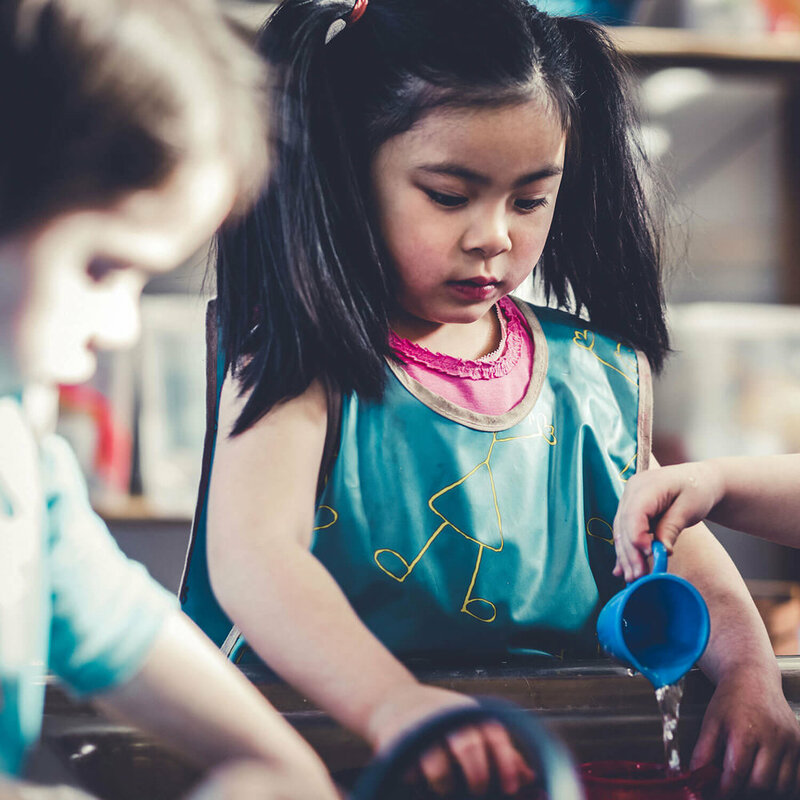 As capable and competent human beings, we believe children deserve rich learning environments, that challenge them and invite them to explore, create, construct and collaborate with others or independently. Our classrooms offer children open-ended materials, art experiences, books, dramatic play materials, sensory experiences and more. These experiences allow for children’s natural explorations of literacy, numeracy, scientific discovery, and imaginative play. We believe that children’s natural curiosity is nurtured when they have opportunities to explore their own ideas, interests and passions. 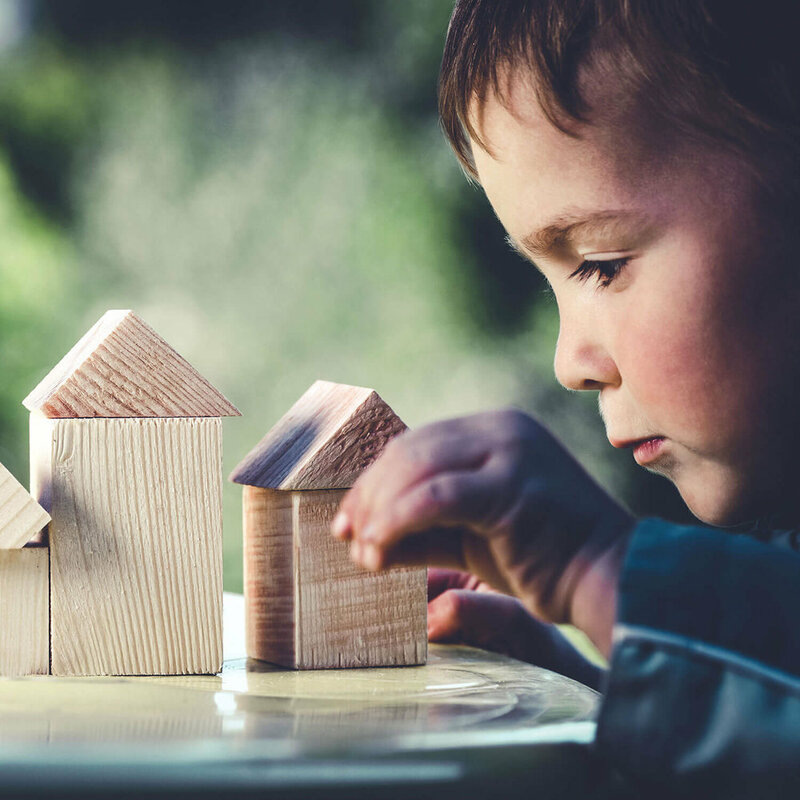 Educators observe children as they play, paying close attention to recurring themes, children’s understandings and underlying questions. Our observations guide our curriculum planning as we create opportunities for children to deepen their thinking, represent their understandings, and encounter new perspectives. Educators collect evidence of children’s thinking by taking photos, making audiotapes and videotapes, and taking notes about children’s conversations and play. This documentation helps children revisit and reflect on their play and thinking. It also helps make the daily life of the classroom visible to children’s families. We believe children deserve educators who are committed to life-long learning. We hold a strong commitment to professional learning that allows us to reflect on our own practices and engages us in understanding the latest research and best practices that emerge in our field. We grow a culture of reflective practice through opportunities to engage in collaborative learning. Our ongoing reflection of our work allows us to provide an intentional curriculum that is responsive to our children, families and community. The foundations of lifelong health and wellbeing are established in the first years of a child’s life. We believe in nurturing children’s emotional and physical health through opportunities to engage both mind and body in daily experiences. We treat all children with respect and dignity and celebrate the uniqueness of each child in our program. We provide nutritious and delicious foods that meet the needs of every child and family and follow the, “Eating Well with Canada’s Food Guide and Nutrition for Healthy Term Infants”.